We have all been burned by a contractor at some point in our life, but I have some good advice on how to hire a qualified NJ Roofing Contractor. The first step would be to ask some friends and neighbors for some recommendations of NJ Roofing Contractors that have done some satisfactory work for them in the past. 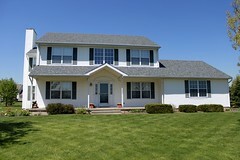 Another way to find a contractor would be to go online and Google “NJ Roofing Contractors”. The first few companies listed on the first page of Google is a good place to start. There you will be able to check the reviews left by previous customers, allowing you to get a feel for the credibility of each company. Checking the web sites of these contractors will also be very helpful. There you will be able to find out how long they have been in business and what that they have to offer. After you have narrowed down the list of contractors to the few that you would like to contact, call or email them to set up an appointment. Always try to be home when a NJ Roofing Contractor is going to give you an estimate, you want to be able to meet them and see how they go about evaluating your roof. 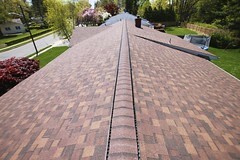 A NJ Roofing Contractor should always go up on your roof to do a thorough inspection. This is required in order to give you a detailed estimate of what needs to be done. Never accept just a piece of paper with a number on it, always ask for a detailed proposal of labor, materials and warranties. 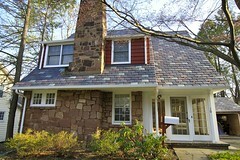 Choosing a NJ Roofing Contractor based solely on the lowest price is NEVER a good idea. Comparing each bid based on the finer points of the proposal is a much wiser choice. The next step would be to ask the contractor for a copy of their NJ Roofing Contractor’s license and a copy of their Workman’s Comp. & General Liability Insurance. 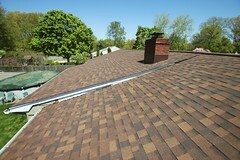 Asking for a few references of NJ Roof Installations that they may have completed in your area will also be helpful. After you have decided on a NJ Roofing Contractor, it is always a good idea to try and schedule the job so that you’ll be home when the workers arrive. This ensures that the job will be done to your satisfaction and helps prevent any unwanted surprises from arising.